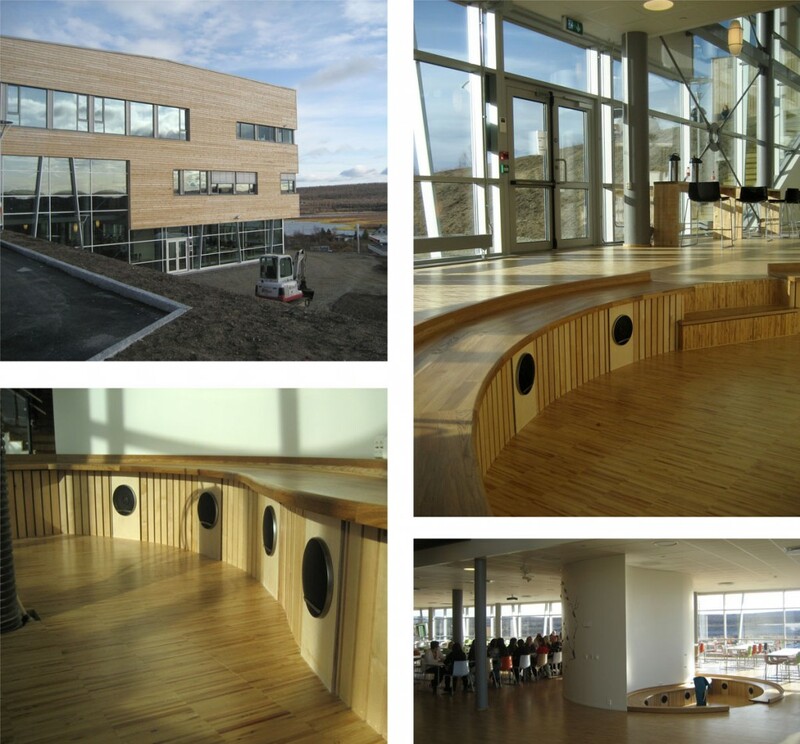 Horisont (2009) is a sound work commissioned by Koro (Public Art Norway) to be permanently exhibited in the new building of the Sami University College in Kautokeino (NO), Diehtosiida. The work is situated in the open cafeteria-area on the ground floor, and consists of 12 speakers build into the base of a bench surrounding a fireplace. A computer (with Max/MSP-software) controls the playback of the piece, slightly varying the order of the elements and the length of sections, making the piece a constant variation over a limited material; recordings of vibraphone and sounds from nature in the arctic region.